It's official. Tom Brady's new longer locks are here to stay but his Facebook fans are not one bit pleased. 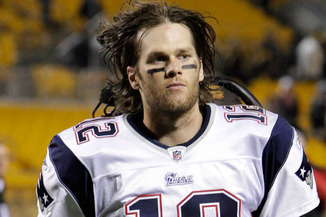 Tom Brady told NBC's Bob Costas, on Sunday, that he has no intention of cutting his hair. However nearly 50 Facebook fan pages and groups are now criticizing the Patriots Quarterback's shaggy hair. -"Cut That Hair, Tom Brady"
However it doesn't seem like Brady has much to fear. Most of sites only have under 100 fans so he should be safe for now.